Does Your Roof House a Wasp Nest? 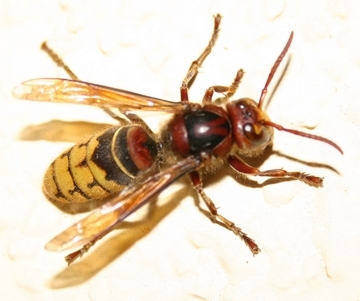 It's that time of year in the UK - where it's the turn of wasps to be the pests of your home. Even if you don't see many wasps at ground level, please give your property a good once-over and see that wasps aren't buzzing around a particular area. It's not uncommon to see a dozen or so wasps outside an area between your roof and wall (if there's an opening there) - it's a sure sign wasps have nested there. Any one of our wasp nest killer products on our sister site will take care of such nests.